This is a picture of a family. 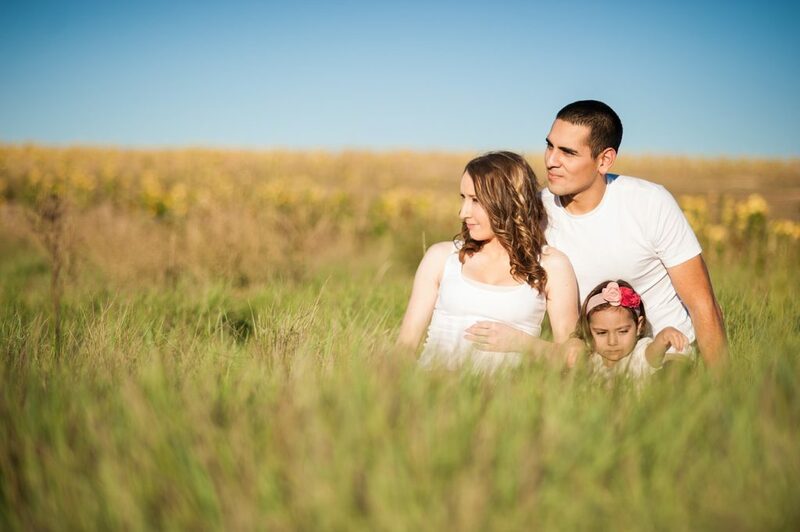 A mother, a father and a daughter are walking in a field. There seems to be many yellow flowers in the background. The father has close-cropped hair. The mother has curled hair. The daughter is wearing a hairband with two flowers. The mother and father are looking at the same direction but the daughter is going to touch something in the long grass. They are all dressed in white.